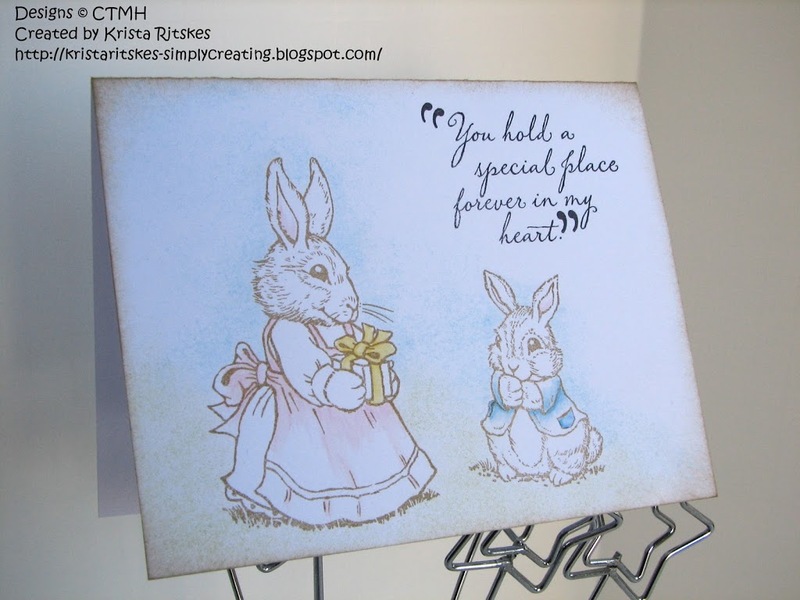 We have arrived at another month and another blog hop. If you are new to this, welcome! It’s great to have you join us. It’s quite simple to follow the hop. At the end of each post you’ll see a link to the next. Just click it and away you go. You’ll see some fabulous artwork made with Sensational Season, March’s Stamp-of-the-Month, and when you get back here, you’ve seen it all. If you arrived here from Traci’s blog, then you already know what you’re doing and you’re on the right track. Isn’t it cute? 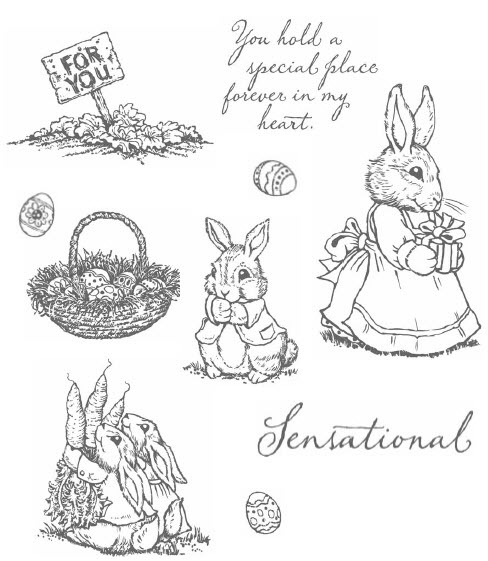 I love the “Peter﻿ Rabbit” look of these stamps. So, that’s the look I went for when I created this card. And now you get to check out Georgia’s blog and see the beautiful artwork she’s created. Have fun! very nice card, simple looking but elegant. Thanks for reminding me how beautiful a one-layer card can be! Really like the single-layer card, and how you added the shadowing around the stamping images. Aww,how sweet is that!?! Clean and simple – love it Krista! Beautiful card Krista! I am very impressed how your sponging is so nice and even-looking!